Losing weight is quite a challenging task. It requires constant efforts in terms of eating a healthy diet along with a disciplined workout schedule. When it comes to weight loss, there are certain foods that can make or break the deal. For instance, peanuts could play a crucial role in your weight loss journey, if consumed in a moderate amount. Yes, you read that right! Despite their high fat and calorie content, peanuts could actually help in promoting weight loss. 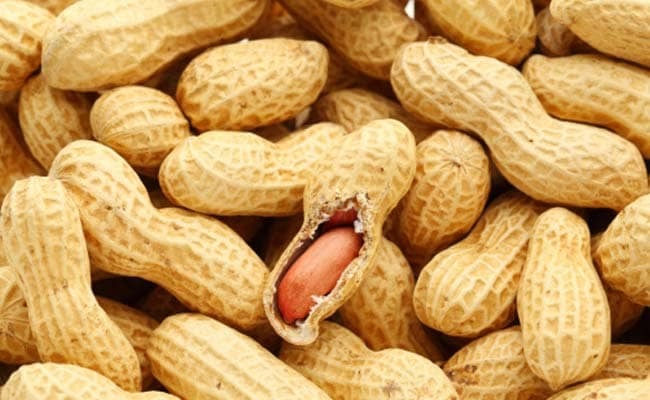 Even though they are relatively high in calories, the rich fibre and protein content in peanuts could help in increasing satiety and can make you feel full for longer. Various studies have shown that snacking on controlled amounts of peanuts is a good way to control hunger without weight gain. The idea is to consume peanuts in moderation and not in abundance. Moreover, consumption of salted peanuts can lead to temporary water weight gain, which would ultimately show a significant rise on the weighing scale. Here, the high sodium content turns out to be the culprit behind the water weight gain. Peanuts are power-packed with nutrients including fibre, protein and heart-healthy fats, which further make it easier to control your overall calorie intake during weight loss by increasing satiety. According to a study published in The Journal of Nutrition, protein is said to burn calories as well. Other than this, peanuts are also a good source of energy that helps in boosting the metabolic rate. A good metabolism can further promote weight loss to a great extent. While peanuts are healthy, there is no denying the fact that they should be accompanied with other nuts like almonds, walnuts etc. so as to balance the amount of nutrients going into the body. So the next time you crave for some junk food, snack on peanuts in a moderate amount by adding them in your salads or savouries. Sapna Chaudhary Joins BJP Roadshow, Says Manoj Tiwari A "Good Friend"